Subject: Cases of promotion taking place in the pre-revised pay structure between 1.12006 and the date of notification of CCS(RP) Rules ,2008 and the subsequent merger of the pre-revised pay scales of the promotional and the feeder posts in a common Grade- fixation of Regarding. The undersigned is directed to Say that consequent upon coming into force of the CCS(RP) Rules, 2008, which were notified on 298.2008 but are effective from 1.1.2006, fixation of pay on promotion on or after 1.1,2006 is carried out as per Rule 13 thereof. 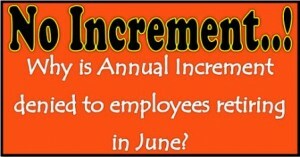 This Rule is invoked only in cases of promotion frotn one Grade pay to another in the revised pay structure. 2. 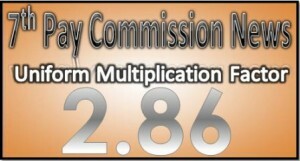 In terms of Section I of Part-A of the First Schedule of the CCS(RP) Rules, 2008, which provides for revised pay structure in the form of applicable pay Bands and Grades pay corresponding to various pre-revised pay Scales, certain pre-revised pay Scales have been merged in a common Grade pay in the revised pay structure w.e.f. 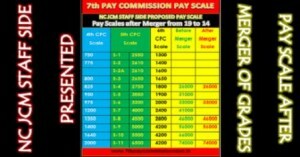 1.1.2006, In view of this, the posts in those pre-revised pay scales which have been merged in a common Grade pay w.e.f. 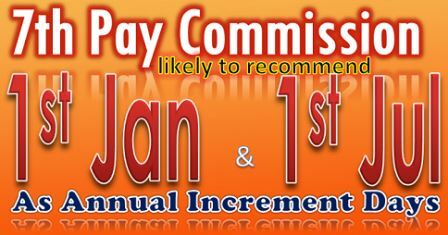 1,1.2006, are normally required to be merged even if these posts constituted feeder and promotional grades in the pre-revised pay structure. 3. However, in cases where such merger of feeder and promotional posts in the wake of their come to lie in the Same grade pay has not taken place due to administrative reasons and the posts continue to retain their promotional and feeder character as per the relevant Recruitment Rules, this Ministry issued instructions vide OM 10/2/2011-E.III A dated 7.1.2013 providing for fixation of pay on promotion in such cases under Rule 13 of CCS (RP) Rules, 2008 subject to the conditions laid down therein. 4. 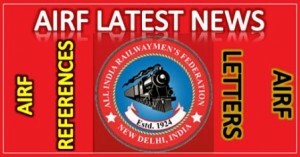 Now, instances have been brought to the notice of this Ministry where the feeder and promotional posts have been merged in view of the merger of the pre- revised pay scales applicable to the erstwhile feeder and promotional posts in a common grade/post after the promulgation of CCS(RP) Rules), 2008, due to which the character of posts being promotional and feeder grades as existing during the period from 1.12006 to the date of notification of CCS(RP) Rules, 2008 stood rescinded with retrospective effect from 1.12006 and, consequently, a question has been raised as to whether Rule 13 of CCS(RP) Rules, 2008 may apply for fixation of pay on promotion taking place during the period between 1.1.2006 and the date of notification of the said Rules, when the fixation of pay was actually done as applicable in the event Of promotion in the pre-revised Structure. 5. The matter has been considered in the light of the provisions contained in the OM No. 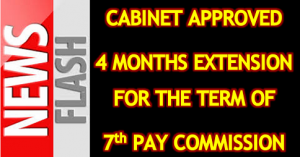 20020/4/2010-Estt.D dt.13.9.2012 issued by the Department of Personnel & Training, which has been issued in the context of the posts/grades merged in pursuance Of the recommendations of the 6th Central pay Commission. This OM provides, inter-alia, that the Status of a government servant as on 29.8.2008 including those who have earned promotion between 1.12006 and 29.09.2008 will be protected as appointment/promotions are made as per the provisions of the recruitment rules applicable to the post/grade. in vogue, which clearly provided for such posts being promotional grade for the feeder grade from where the promotion took place and where the posts were subsequently merged in a single post/grade consequent upon promulgation of the CCS(RP) Rules, 2008.
of pay in these cases in the pre-revised structure during the period between 1.1.2006 and the date of notification of the CCS(RP) Rules 2008. 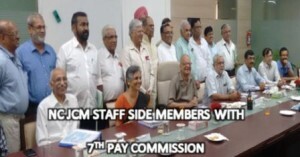 (iii) The concerned employees had opted to come over to the revised pay structure from a date occurring prior to the date Of notification of CCS(RP) Rules, 2008. (iv) The concerned Recruitment Rules have been amended subsequently to provide for merger of these grades into a single grade/post. 7. This order applies only in case of promotions carried out in the pre-revised structure durirg 1.1.2006 and the date of notification of CCS(RP) Rules, 2008. Thus, the benefit of Rule 13 of CCS(RP) Rules, 2008 would not apply in Cases of appointment to the post which was in the higher pay scale in the pre-revised pay structure, where such appointment is made after the date of notification of CCS(RP) Rules, 2008. 8. In its application to the employees serving under the Indian Audit and Accounts Department, this order issues with the concurrence Of the office Of CMG. 9. The Hindi Version of this OM is attached. Sir, I was promoted from Section Engineer to Sr. Section Engineer on dated 23.09.2007 and grade has been merged by the 6th pay commission. My old basic pay was Rs.8925/- in March 2007. 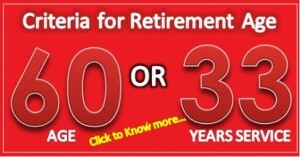 Also I opted for promotion effective from March 2008 with getting one increment. 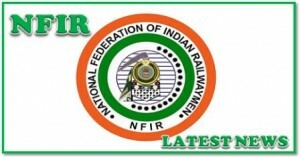 Now Railway Board has issued circular, if employee is promoted between 01.01.2006 to 29.08.2008, one increment to be granted to him. 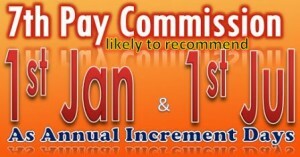 Please advise me my new basic pay as per 6th pay commission.